Services — All Star Sports Instruction, Inc. The professional staff at All Star Sports Instruction knows what it takes to coach and compete at high levels. Learning proper mechanics and footwork early can make a huge difference as the athlete grows. Trained and dedicated, the All Star staff has the patience and know how to motivate and get down to the young players level. All of the junior programs are designed to keep everyone actively moving, thinking, and having fun! Drills are hidden in fun games and terminology that kids can understand. 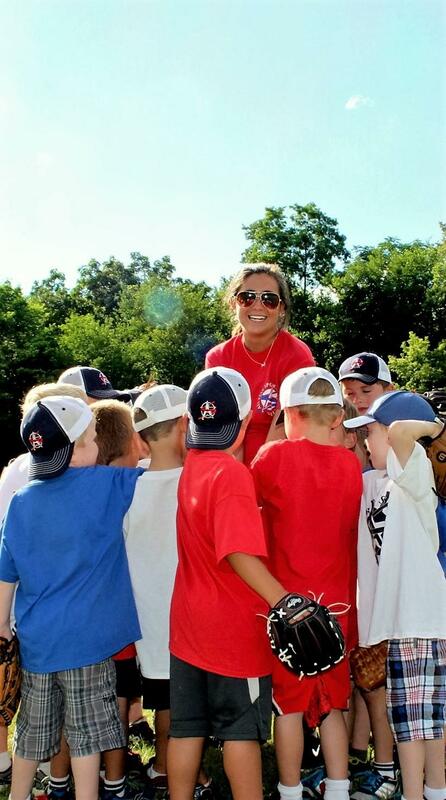 The All Star coaches are dedicated to making sure that each child has a positive and fun experience in whatever sport they choose as they begin to develop a passion for their desired sport. Learning about teamwork and sportsmanship is a large part of these programs and extremely important for them to grasp. They will always be part of a team, no matter what their surroundings and our goal is to fuel the passion as we get them started in the right direction. These new programs will be coached by a certified All Star Sport specific trainer with speed & agility components powered by Ethos 360 Performance Training. Our goal is to add layers to each athletes basic foundation coached at the Junior Level to further advance their knowledge and enhance their skills set so that they can compete for travel, club level, or High School positions. Each 1 hour session will include 10-15 minutes of athletic conditioning with sport specific drills that will be modified according to each child's age or ability. Athletes will learn to compete and handle the pressures of competition by being introduced to the game and performance situations, class size will vary per sport but will be set with a lower kid to coach ratio than Junior Programs to enable small group and one on one instruction. Participants in the Skills Programs do not receive awards. Along the line with more competitive sports not everyone always receives an award. Our leagues are designed to provide a fun and safe environment for children to flourish in their desired sport. Our goals are to ensure confidence, a positive attitude, and to make sure our participants get the most out of their experience. We welcome beginners and children who have played before; no matter what their ability we will make a difference. In this extremely competitive world of sports, so much is emphasized on who wins. At such a young age there is a lot more to a game than just winning. We take the time to make sure our children know the fundamentals and how necessary it is for them to practice and work hard to succeed. We stress the importance of teamwork and working together through every aspect of the game. Most of all, we stress how important it is to have fun. A child needs to develop a love for the game before they can fully understand it. Our non-bias approach to coaching gives every child a chance to play different positions so that they are able to learn the game from different angles. We want our participants to feel comfortable and confident in their ability, and to be able to trust what we have taught. We offer a wide variety of sports as well as a variety of league types to accommodate everyone. Then there is our Players League, which is designed for the children to play games. This league runs for eight weeks and meets twice a week. Once for practice, and once for games. Practice and games are each an hour long. The first four meetings are designed for practice. The first practice is for coaches training only where the parent coaches will be addressed about sideline mannerisms, and the importance of having fun while being a positive role model. From the second practice on, coaches and children train together. Games start on the third week. Score keeping is allowed for grades higher than 3rd. Parents coach, but are under the watchful eye of our instructors to assure that everyone is being treated fairly. Our instructors will be there to officiate and assist in any questions, or needs a coach may have. Each participant receives, team jersey, participation award and schedule by the second week.